Basnayake Shalith Malinda Warnapura (born 26 May 1979 in Colombo, Sri Lanka), or Malinda Warnapura, is a former professional Sri Lankan cricketer, who played 14 Tests and 3 ODIs. He is a left-handed batsman and right-arm off-break bowler. He is the current coach of St Peter's College, Colombo. 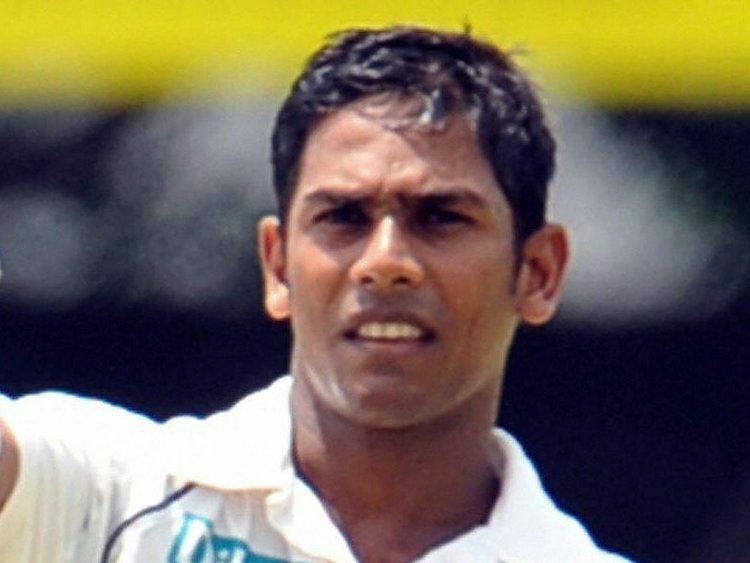 Making his first class debut in 1998/99, Warnapura did not play international cricket for Sri Lanka until 2007. He had however previously represented them in the cricket tournament at the 1998 Commonwealth Games. He made his highest first class score of 242 playing for Sri Lanka A against Bangladesh A in 2007. Malinda made his ODI debut on 20 May 2007 against Bangladesh, and Test debut at the same series, on 25 June 2007. Malinda scored his first Test century in his third Test, where he scored 120 runs in the first innings against West Indies. Despite his aggressive shots as an opening batsman with Michael Vandort, and in late with Tharanga Paranavitana, he dropped from the team after Pakistan series on 2009. Then he never called to the team in both Tests and ODIs. Until his doors were closed to the international arena, Malinda played 14 Tests with 2 centuries and 3 ODIs. He is now acting as a television commentator for sports and as well as plays domestic cricket.